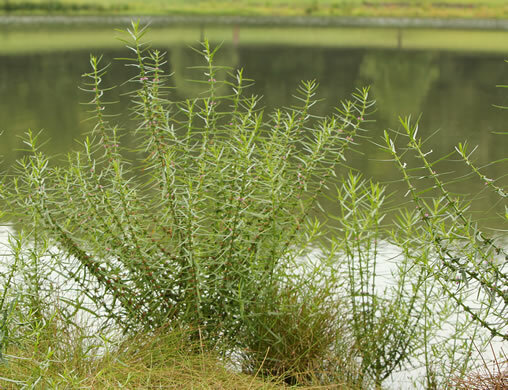 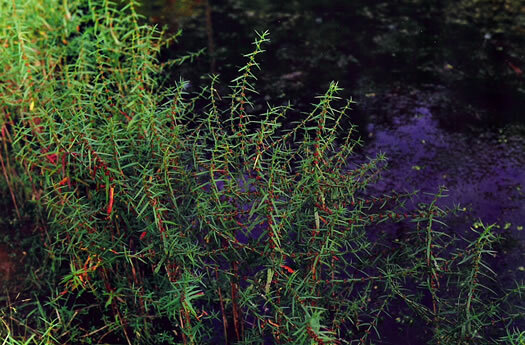 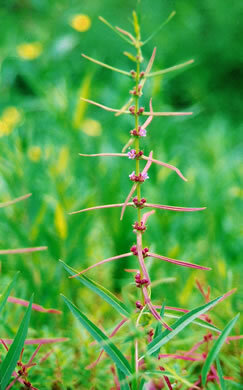 Smooth annual 4-40" tall, the stems often freely branched, per Wildflowers of Tennessee. 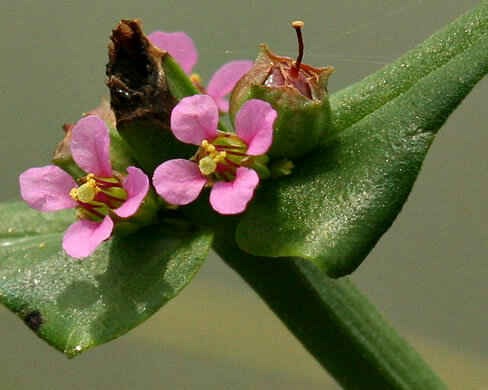 Usually more than 3 flowers per leaf axil, the petals deep rose-purple, per Weakley's Flora. 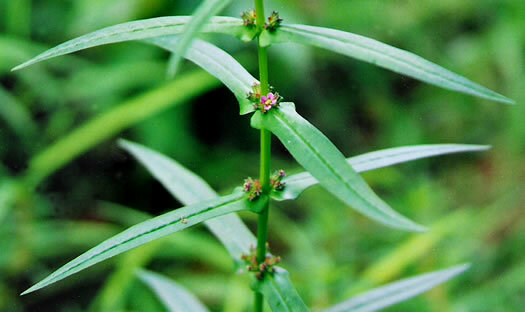 Leaves to 6" long & 0.5" wide, often dilated at base & somewhat clasping, per Wildflowers of Tennessee. 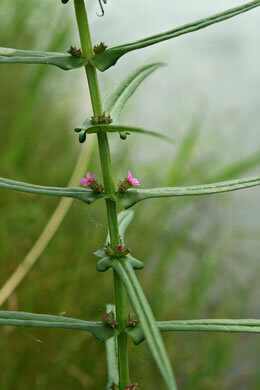 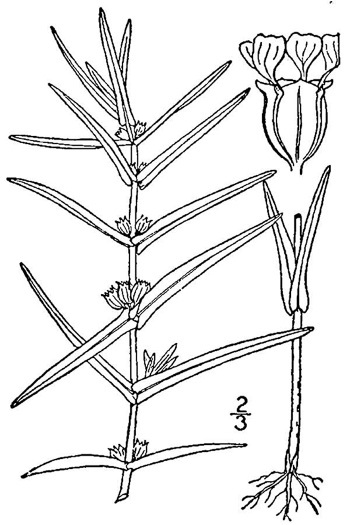 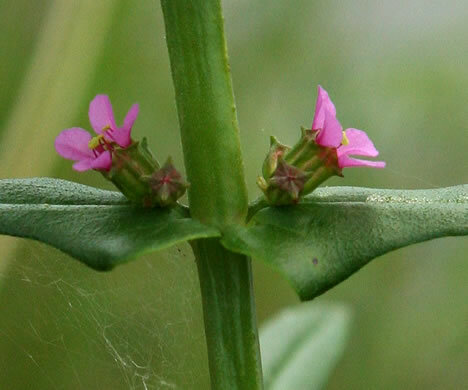 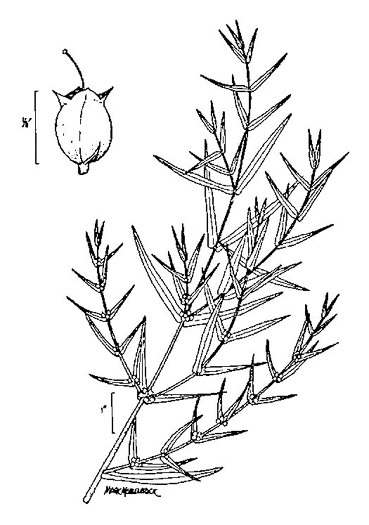 Calyx lobes triangular, with acute apices, per Weakley's Flora.